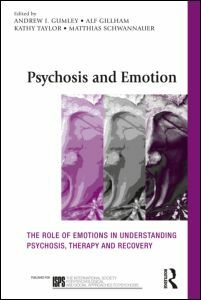 There is increasing recognition that emotional distress plays a significant part in the onset of psychosis, the experience of psychosis itself and in the unfolding of recovery that follows. This book brings together leading international experts to explore the role of emotion and emotion regulation in the development and recovery from psychosis. With thorough coverage of contemporary thinking, including psychoanalytic, cognitive, developmental, evolutionary and neurobiological, this book will be a valuable resource to clinicians and psychological therapists working in the field.